Illegal harvest for commercial trade has recently surged to become a major threat to some of the world’s most endangered and charismatic species. Unfortunately, the cryptic nature of illegal killing makes estimation of rates and impacts difficult. Applying a model based on field census of carcasses, to our knowledge we provide the first detailed assessment of African elephant illegal killing rates at population, regional, and continental scales. Illegal harvest for commercial trade in ivory has recently surged, coinciding with increases in illegal ivory seizures and black market ivory prices. As a result, the species declined over the past 4 y, during which tens of thousands of elephants have been killed annually across the continent. Solutions to this crisis require global action. 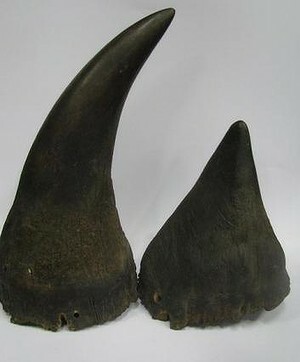 Illegal wildlife trade has reached alarming levels globally, extirpating populations of commercially valuable species. As a driver of biodiversity loss, quantifying illegal harvest is essential for conservation and sociopolitical affairs but notoriously difficult. Here we combine field-based carcass monitoring with fine-scale demographic data from an intensively studied wild African elephant population in Samburu, Kenya, to partition mortality into natural and illegal causes. We then expand our analytical framework to model illegal killing rates and population trends of elephants at regional and continental scales using carcass data collected by a Convention on International Trade in Endangered Species program. At the intensively monitored site, illegal killing increased markedly after 2008 and was correlated strongly with the local black market ivory price and increased seizures of ivory destined for China. More broadly, results from application to continental data indicated illegal killing levels were unsustainable for the species between 2010 and 2012, peaking to ∼8% in 2011 which extrapolates to ∼40,000 elephants illegally killed and a probable species reduction of ∼3% that year. Preliminary data from 2013 indicate overharvesting continued. In contrast to the rest of Africa, our analysis corroborates that Central African forest elephants experienced decline throughout the last decade. These results provide the most comprehensive assessment of illegal ivory harvest to date and confirm that current ivory consumption is not sustainable. Further, our approach provides a powerful basis to determine cryptic mortality and gain understanding of the demography of at-risk species. 1To whom correspondence should be addressed. Email: g.wittemyer@colostate.edu. Author contributions: G.W., J.B., I.D.-H., P.O., and K.P.B. designed research; G.W., J.M.N., J.B., and I.D.-H. performed research; G.W., J.B., P.O., and K.P.B. contributed new reagents/analytic tools; G.W., J.M.N., J.B., and K.P.B. analyzed data; and G.W. wrote the paper. This article contains supporting information online at www.pnas.org/lookup/suppl/doi:10.1073/pnas.1403984111/-/DCSupplemental. This story was broadcast on March 9, 2014. “They give us a big, big worry,” he said, as there is more poaching on the full moon. And it is a deadly business. 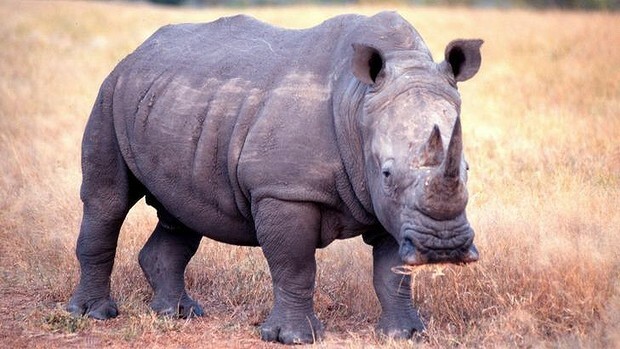 Dozens of rangers have been killed in Africa battling poachers in the last few years. Night vision goggles help spot elephants — and see potential human threats. The African elephant is the largest mammal to walk the Earth; a majestic creature that shares many noble characteristics with humans — strong family units and maternal bonds, intelligence, longevity and, yes, terrific memories. Some 25,000 elephants a year are now being lost to poachers in Africa. The Kenyan-born Craig leads conservation efforts for the Northern Rangelands Trust, an innovative partnership of nearly 20 wildlife conservancies. Despite laws banning the harvest and sale of ivory, it remains a powerful status symbol in China and the Far East, where it is used commonly to make artworks and religious icons. The economic boom there has tripled the price of ivory in just the last four years. 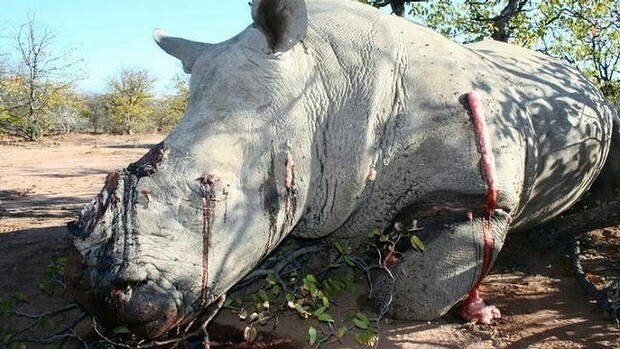 And it has rejuvenated the poaching economy in Africa. “So it’s several years’ worth of wages from that elephant,” said Sanjayan. You hear about ivory wars, said Sanjayan, but it doesn’t seem real until one comes across an elephant’s carcass … the animal had no chance against being shot by automatic weapons, no chance at all. And then, it comes flooding right at you, and you can’t escape the fact that people are willing to kill something this big just for a tooth. This past January, China crushed six tons of illegal ivory, and Hong Kong pledged to destroy 28 tons over the next two years. But the poaching continues . . . and protecting elephants has become an arms race. Kenya spends tens of millions of dollars a year on its 3,000-member wildlife ranger force. Tracking dogs hunt poachers in the field and detect ivory being smuggled. Digital radio systems now connect rangers with observation posts throughout the country. And GPS collars can track family groups of elephants in real time. They’ve even built wildlife “underpasses” beneath highways, allowing elephants to travel safely through historic migration corridors. Just as important, is getting locals invested in wildlife. In many areas, tribesmen don’t just lead tours, they run the preserves. Profits from tourism help communities understand that living elephants can be more valuable than dead ones. But changing attitudes takes time — and time is NOT on the elephant’s side. 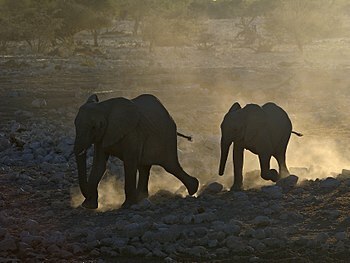 From a high of 1.3 million African elephants in the late 1970s, poaching reduced populations to critical levels by 1980. 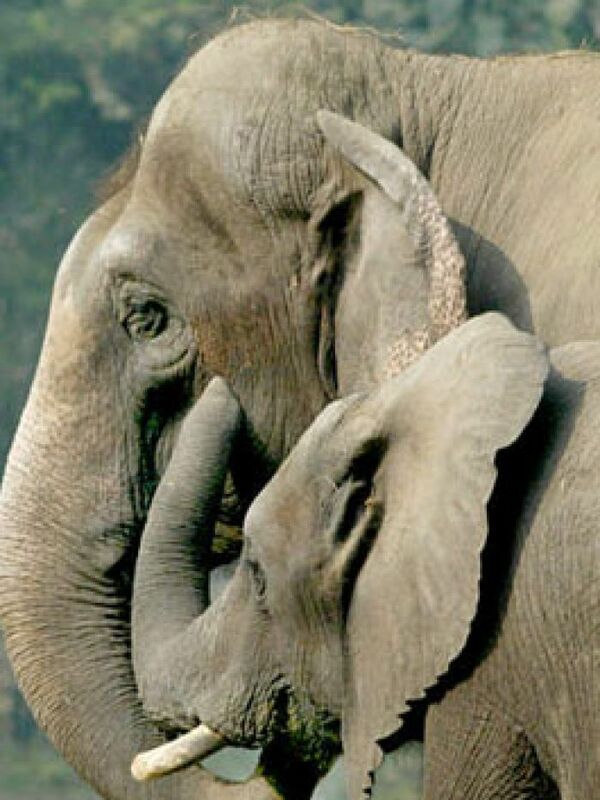 The numbers are plummeting again: there are only about 500,000 elephants left. If poaching continues unchecked, African elephants could be functionally extinct in our lifetime. In an extraordinary attempt to save the life of just one animal, a Kenyan veterinarian armed with a tranquilizer dart shot Mountain Bull, a 6-ton local legend who’s been targeted by poachers for his massive tusks. This magnificent bull elephant has already had lots of interaction with poachers; in one incident alone, he’s been shot 8 times — the slugs are still within his body — but he has survived. Now conservationists and rangers are doing something dramatic: they’re taking off part of his tusks in the hopes that it will make him less of a target. The operation was over quickly, and eventually the noble giant wobbled to his feet and headed back to the bush to hopefully live out his days in peace. But sadly is was not meant to be. Recently, the carcass of Mountain Bull was found near the foot of Mt.  Kenya attacked with poison spears. The reminiscence of his tusks were unceremonious hacked off by poachers. Craig worries that unless the lust for ivory is controlled, the elephant may not survive. NRA Pushing Bill to Legalize Ivory Trade, Protect Right to Hunt Endangered Elephants | Ring of Fire. Poaching elephants for the illegal collection and sale of ivory continues to be a huge problem globally. Last year, the US. Fish and Wildlife Service destroyed nearly six tons of illegal ivory it ha obtained through custom seizures and criminal investigations. 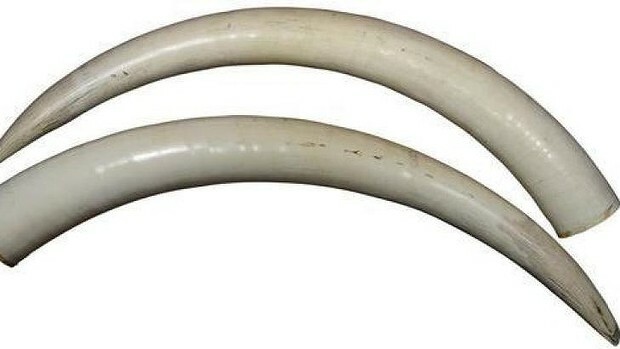 Currently the US ranks second only to China in the amount of illegal ivory imported. More than 20,000 elephants were killed across the African continent last year alone, with the countries of Kenya, Tanzania, and Uganda accounting for around 80 percent of all continental ivory seizures. 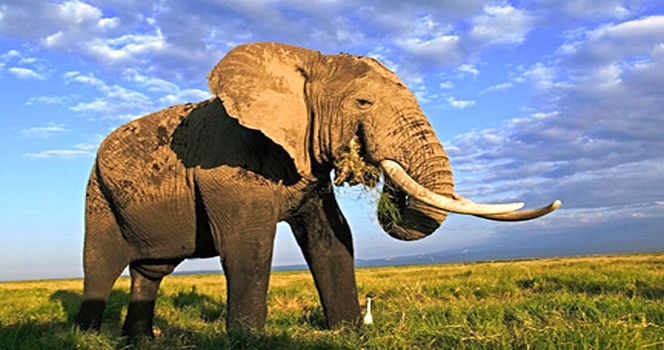 The US government is continuing to take steps to combat the ivory trade industry. Last year, the Obama administration announced its National Strategy for Combating Wildlife Trafficking, which included the ban of commercially traded elephant ivory and the domestic sale of all non-antique ivory. In April of this year, the Fish and Wildlife Service announced a suspension on the import of “sport-hunted African elephant trophies” coming in from Tanzania and Zimbabwe. Of course the National Rifle Association (NRA) doesn’t see these steps as necessary measures to save the African elephant population from complete extinction; it sees them as an attack on personal freedoms, including the freedom to shoot an endangered species. Only briefly and at the end of the update was a mention of the protection of the rights of Americans to hunt elephants in Africa. If the government completely bans the import of all sport-trophies, the banning of Americans buying elephant-hunting permits from African countries would logically follow at some point. Most Americans actually support the banning of ivory if it meant it would further protect the elephant population. But, as it did with the universal background checks that were supported by 80 to 90 percent of the public, the NRA is ignoring the greater good for its own selfish interests. It continues to wield its ridiculous power over politicians to sway legislation in its favor. Amy is a writer and researcher with Ring of Fire. You can follow her on Twitter @AEddings31.